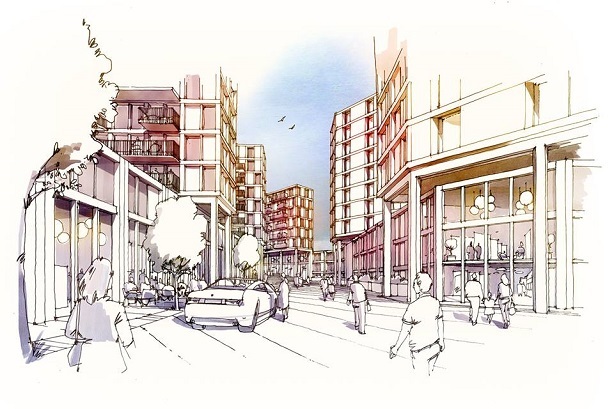 The PRCA's Professional Practices Committee (PPC) has decided not to take forward a complaint by Lambeth Council that property and built environment agency BECG misled the public over the development of a site in the south London borough. The case relates to Knollys Yard in West Norwood. BECG represents developer Be Living, which wants to develop the site for new homes and small businesses. BECG is the new name for Remarkable Group - the rebrand was announced in December a year on from its acquisition of HardHat. The council's plans for Knollys Yard include potentially designating it as one of the borough's Key Industrial & Business Areas (KIBAs), which a spokesman says could give it "an important role in local job creation". Public communications from BECG and its client have noted that KIBA designation is also used for various industrial sites, including a leaflet sent to 2,000 local residents implying that Knollys Yard "could" as such become a "waste and recycling site" and a Facebook post urging locals to give feedback to the council, saying: "If you say nothing, they’ll take that as you supporting their plans". The council complained to the PRCA late last month that the agency's communications were "misleading". It also sent residents a note saying: "Contrary to the claims on the flyers, a KIBA designation does not mean that the site would be occupied by heavy industrial uses. Any proposal for significant new business or industrial development at Knollys Yard would require planning permission, full public consultation, and the impacts on traffic and amenity would be carefully assessed." After considering the matter, the PPC this week told both sides that relevant paragraphs in the PRCA Code of Conduct had not been breached. "This complaint will not be taken forward by the Professional Practices Committee and will therefore not be addressed through the PRCA Arbitration and Disciplinary Procedures. BECG has met the requirement to respect the truth (2.2) and to conduct themselves, ultimately, with proper regard to the public interest (2.1)," the committee declared. A council spokesman said: "We are disappointed that the PRCA has decided not to take the complaint forward. However it remains false to suggest Lambeth Council is proposing opening a waste or recycling facility at Knollys Yard. We believe it is misleading to present this as a realistic alternative to private developer Be Living’s housing proposal. "We do see this site as potentially playing an important role in local job creation and will be consulting on potential business use of the site to achieve that aim later in the year. We will also continue to push developers in Lambeth to deliver on genuine affordable housing." The agency said in a statement that it was "pleased" by the outcome. The PPC statement concluded: "The broader question as to whether it is the client's desired outcome or the council's desired outcome for Knollys Yard that best represents the public interest is the purpose of the ongoing consultation exercise. Both sides are entitled to put forward their case, raise future possibilities for the site, and encourage participation in the broadest possible sense." The PPC, and the PRCA Code of Conduct, were the same body and codes that last year assessed the high-profile complaints against Bell Pottinger.